Living in a small town is even more reason to capitalize on your network. Numero Uno Web Solutions uses strategic online marketing to help you more effectively tap into your local market and expand to reach new consumers. 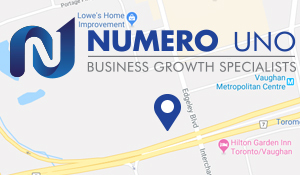 Numero Uno is the top SEO company in Georgina. We develop online campaigns that will drive traffic to your business and increase your potential client base. We use a team of professional writers to create relevant content in the form of blogs, press releases, and articles that help you rank on popular search engines. We also include a social media strategy to keep you active online and engage with potential consumers. Even if you don’t have a website right now, it’s about time you get one. Numero Uno has a team of designers ready to set your business up with a site that looks great and is easy to navigate. And with a consistent stream of online content from our writers, you can bet that a lot more people will be seeing your new site. Or if you already have a site and just need a bit of help developing it, Numero Uno can help with that too. Our team is confident that we can help you with any and all of your online needs. We will work with you throughout the entire process to make sure that we are setting and meeting all of the important milestones to make your business the best it can be. You’ll find other companies out there that say they can help your business, but none of them can deliver like Numero Uno Web Solutions. We are the top SEO company in Georgina and have a proven track record for helping companies improve their exposure to new consumers and better engage with their existing ones. Trust us to help bring the best out of your business.